In your inbox. Every week. No spam, no BS, unsubscribe at any time. Ready to improve engagement and retention? Free to get started. No credit card required. Have you ever been in a bad relationship? It seems like we all have. Where a partner didn’t return the love we were giving. Or perhaps—more honestly—where we’ve been the partner giving less. A good relationship is all about balance. You’ve heard this before, it’s about give and take. Relationships between software products and their users are much the same. 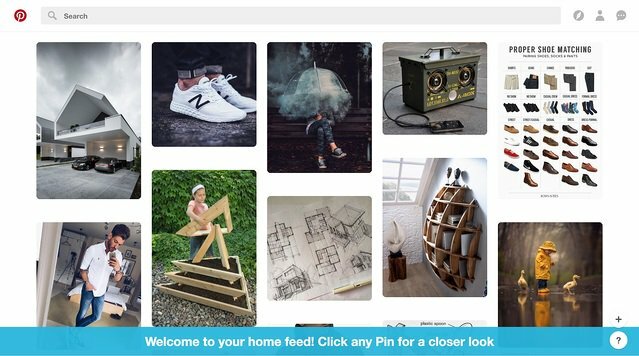 Pinterest has focused its efforts on balancing give and take. They mastered their onboarding experience by experimenting with these dynamics in order to get users to their aha moment. Casey Winters was a member of the team behind Pinterest's onboarding as the product experienced rapid growth. During Casey’s tenure, the team ran hundreds of experiments to improve their activation rate. Casey recently shared his onboarding secrets on Greylock Partners’ podcast, Greymatter. We here at Appcues have taken the time to break it down with screenshots to give you a better idea of how Pinterest perfected user onboarding by balancing give and take. Showing initial value is as difficult to execute as it is critical to your success. It takes a deep understanding of what a new user wants from your product. You probably have an idea of what new users want, but the more you can zero in on this need, and focus on delivering value, the more leverage you’ll have in improving your activation rate. Not only does the subheader suggest “cool interesting topics,” but the foreground and background imagery complements it. Reinforcing your value with images and words is the easy part. Delivering on it is what’s hard. This blue banner tells readers exactly what to do. There is little room to get lost or confused. A pulsing hotspot hovers over the save button, again, making it clear what to do next. The tooltip message that appears upon clicking the hotspot contextualizes the button further. Contextual help in the banner below this modal is aimed to prompt action. 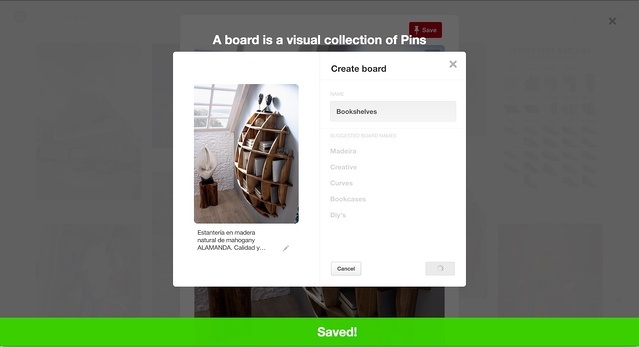 The copy above—”A board is a visual collection of Pins”—helps a user understand the product. This confirmation message helps a user know they’re on the right track. 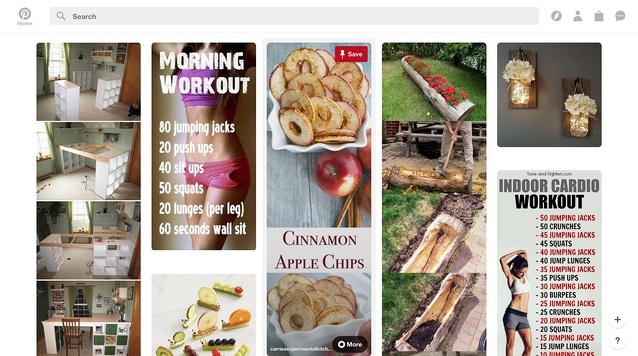 By this time, first-time users navigating Pinterest have a pretty good idea of what it is and does. 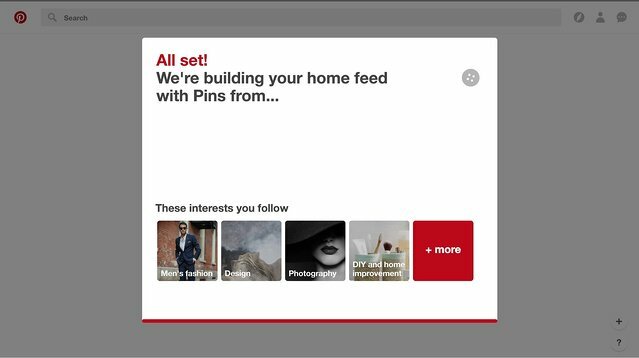 Pinterest’s onboarding experience continues to progress from here, but at this point, the user has had one or two significant aha moments. They understand the value of the product, and are ready to explore more on their own. Effective user onboarding experiences often require personalization. Personalized onboarding aims to more closely align with the value an individual user wants than a one-size-fits-all approach. This approach requires you to either ask for data from your users or obtain it through a third-party data source such as a user’s browser. Pinterest does both. It’s brilliant. 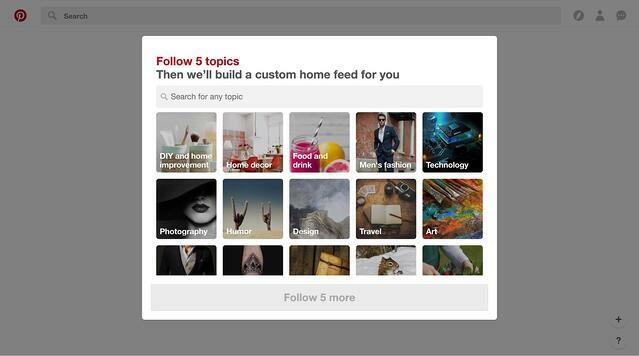 Users are given a personalized home feed based on their gender, age, and interests. Not sure about you, but I’m falling in love already ❤️. A few years ago, Pinterest users abroad saw the same onboarding experience as users in the U.S. And unfortunately, users in certain countries were bouncing at higher rates. When Pinterest’s team sat down to draw up some onboarding experiments, they hypothesised that the interests of users abroad were different than those in the U.S., resulting in home feeds that didn’t resonate as deeply and users missing the aha moment. You can see the the topics suggested are vastly different after the optimization. This experiment improved Pinterest’s activation rate abroad by 5-10% depending on the country and demographic. 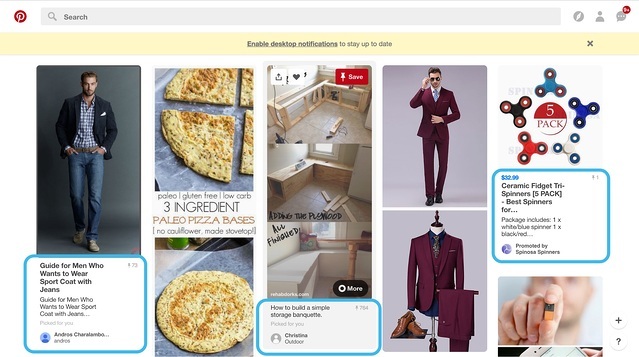 You can see exactly how Pinterest ran this experiment on their engineering blog. Having a clear vision of what a user wants in their first session can inform what to save for future sessions. Did you catch that?! 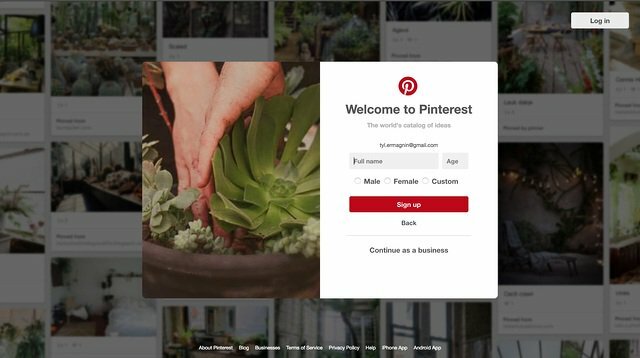 Pinterest hides elements of their user interface for first-time users. Mind blowing, I know. Notice what we’ve highlighted in the home feed for returning users is hidden for new? Information about the source for a pin is secondary in value to being able to search and save them. 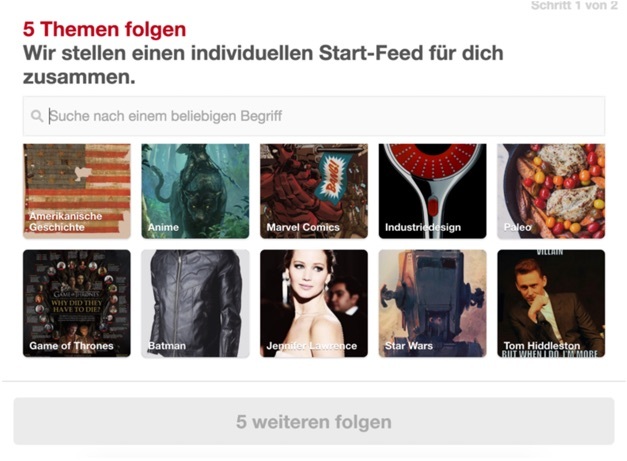 Pinterest reduces friction during onboarding by hiding these elements. After Pinterest gets users to the aha moment and they're hooked, it can now ask them for more. See the ‘Enable desktop notifications’ banner for returning users? 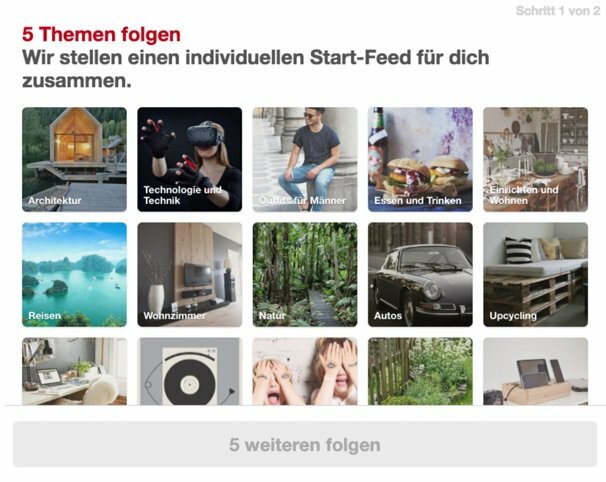 It’s smart for Pinterest to ask for things like this once a user is already engaged in order to try and drive further engagement. Want to become a User Onboarding Master? Check out our free User Onboarding Academy! We continue our chat with Sarah Doody to hear her take on navigating stubborn stakeholder relationships, accessibility, consumerization, and the UX of buying a car in 2019. 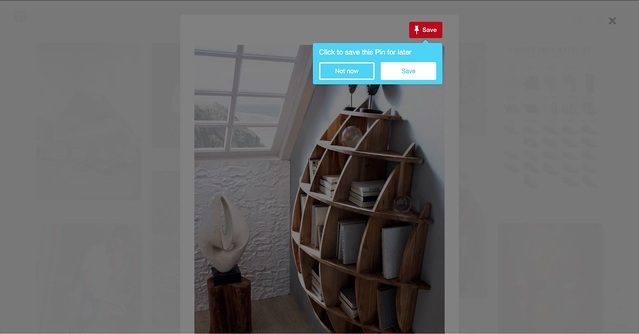 The best free modal window plugins known to Google. We sat down with Sarah Doody—UX designer, product strategist, and design educator—to talk about her career, the democratization of UX design, thinking like a designer, and the 5 qualities every designer should have. © 2019 Appcues. All rights reserved.